Sketching is a fundamental and time-tested tool of design communication-- an intuitive practice that conveys ideas and assumptions rapidly and directly. With the rise of trans-disciplinary practices and digital methods, the conventional act of sketching has been profoundly transformed by a proliferation of diverse methodologies and emerging technologies. While the perception and notion of what constitutes a sketch continues to expand, many designers are reconsidering and expanding upon the historical role of sketching. This emerging dialogue reveals unparalleled synergies between 21st century innovation and classical tradition. Sponsored by the Fordham University Theater and Visual Arts Department in association with New York-based curators d3, the Sketch. exhibition for 2013 seeks to investigate this discourse by embracing the full range and potential of sketching in conceptual design. Sketch. will revisit the use of classical approaches, while engaging with the new technologies that have expanded the contemporary opportunities of sketching as a conceptual generator. The exhibition offers a forum to reflect upon the transformative forces impacting sketching in the design process. We invite architects, designers, artists, and students from across the disciplines to join this dialogue. This call solicits printed materials only. Work must be formatted to meet submission requirements. 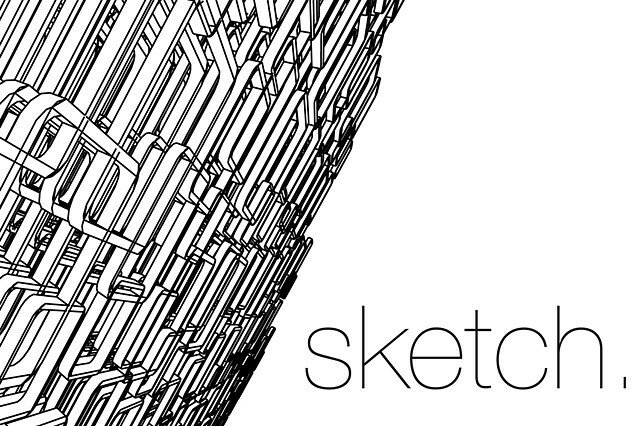 Submissions may include, but are not limited to, analog sketches, digital drawings, digital images of sketch models, etc..